In some ways I find it quite an emotional experience returning to Waikerie (Robert’s 1st parish). For six years we shared together in the life of our church here. We shared in joyful ways; our family and some of yours had children born. They moved from bring reluctant candidates for infant baptism to being able to join in and add to some of the chaotic children’s talks. We also farewelled together some of the unforgettable people of an era whose memory and influence contributed so much to our church and to my own growth. I remember your generosity as a church – your great kindness, your produce and your support when it was needed most. One of the times I recall most vividly was when we first arrived in California after leaving Waikerie. 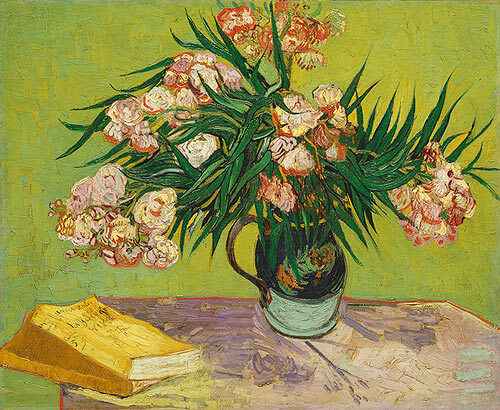 For the first house we rented there, like a memorial right outside the back door was a giant oleander bush. There was no escape from them. Those of you from Tusmore Memorial (Robert’s 2nd parish) may not be aware that one of the forms ministry took in 1984 was the initiating of a controversial tree-planting program. And of course the main reason for coming today was to see how they are going. Since being with you last we have survived the madness of New York, the smog of summertime California, the fees of Fuller Seminary and children hanging over lookout rails at the Grand Canyon. Now it is the Iles great joy to be sharing in ministry with people whom you see today, located in a visible church with great growth potential, with many gifted, evangelistic and caring people, for whom I thank God. Though I did observe that within a month of arriving they installed a new sanctuary clock with much larger numbers clearly visible from the pulpit. I’m sure Waikerie people can sympathise with their dilemma. Our text this morning is not unrelated to this extensive preamble, for in it Jesus is talking about encouragement for his people. Preceding John 14, you will note that Jesus has spoken to Peter about his defection and how within hours he will deny he knew the Lord. And so Jesus, without rancour or anger gives him and the disciples some words of encouragement. ‘Do not be worried or upset’, Jesus says. If anyone should be upset it should be Jesus. These dull, ungrateful disciples who will go back to business as usual soon after Jesus is dead – he tells them not to get upset. The word used in Greek for ‘troubled and upset’ is tarraso. It is the same word used in John 5:7 by the invalid who says, ‘I have no-one to help me when the water is tarraso, stirred up. It is used for turbulence, upheaval and disturbance. Do not let your hearts be tarraso. It seems easy enough to say, but aren’t we people who are prone to muddying the waters of our lives? We let the next day spoil our night’s rest. We think about money more than we need to, and like Peter, we sometimes betray the truth through our business or we are undisciplined in our study, or we worry instead of praying. Don’t be worried or upset Jesus commands. Is this impossible? He then gives us guidance on how we can make it possible. I can remember in my first week in Pasadena, Los Angeles. I was walking to a class when a guy with a knife came up to me. He was disturbed, and therefore so was I. In those seconds I suddenly wondered what the purpose of going over there was, if I was to end up a knife victim. I had the sense that God didn’t have that in mind so I just turned and walked away from him. Mind you, I was also quickly thinking back over some Bruce Lee movies I had seen, but the Spirit short-circuited all those human options and told me to trust. In what area of your life do you find it hard to trust God? When is it most difficult for you to do what Emil Lochert always exhorted us to do, ‘To have faith’? Perhaps it is your anxiety over the low prices for your produce, perhaps it is the disagreements you and your spouse have been having lately, perhaps the pain of a memory which lingers on. Perhaps it is the exhausting hours you have to put in to survive at work. Whatever it is, nevertheless, trust in God. That is what you are meant to do and in that trust you will see a way ahead. You will gain guidance, help, ideas, creativity and possibilities. The Lord says that he has gone to his Father’s house to prepare a resting place for you. You need have no anxiety over the future. Your life will not count for nothing. It has eternal significance, even if it does not seem to have great market significance. The Lord wants you to be with him forever. In verse 3, he says, ‘I will take you to myself so that you will be where I am.’ Due to the resurrection, nothing will be lost. All the beauty of this world, the creativity, all the love and laughter that were God’s gifts will all be present through persons. Therefore, don’t be anxious about death. It only has a temporary victory. It is interesting to see the truth unfolding in politics. The so-called ‘Watergate’ scandal shows a concern for the truth, and reveals the art of deception, practiced at the highest levels of government. Then too there is Senator Gary Harts and his lack of wisdom in his lifestyle and his ambiguous relationships. A sense of the lack of truth and integrity in his dealings distresses the American people, and so he is out. In Fiji, the army believes the democratically elected government does not practice its kind of truth so it intervenes and brings turmoil to this South Pacific paradise. Closer to home, the Australian Federal treasurer has sought to convince businesses about economic truth through a mini-budget that Malcolm Fraser would have been proud of. Truth is so important in every setting, whether political, commercial, marital or the exams that our young people will soon be undertaking. Our scriptures says however, that there is only one source of this truth. The Bible teaches that truth is not only a concept of value, but it exists as a concept because it has its origin in a person. Behind the concept of truth is the Creator. All truth is God’s truth. In verse 6, Jesus said, ‘I am the way’, which means ‘I am the truth’, which means ‘I am the life’. That is kind of hard for our generation to accept. In this era of news filled with Hare Krishna Temples on Unley Road and angry Ayatollahs, it’s hard to accept that the truth could be as narrow as what Jesus says. Only through him. But truth is narrow. Think for example if you were hiking and came to a river as wide as the punt crossing down here. Say we learned that there was only one bridge down the river, say a few kilometres. We wouldn’t stomp about in disgust saying how terrible such a narrow, limited option was, and that the bridge should be right here where we are. Instead, we would be thankful that there was a bridge and we would go to it to cross it. Therefore, Jesus can say that he who has seen him has seen the Father. That is how God has chosen to reveal himself to us. Fully through Jesus. Truth is in him, therefore other faith options are secondary. Jesus’ greatest achievements were not his miracles, but the miracles of people coming to faith. His greatest works are that of conversion, and when he went to the Father, he sent the Holy Spirit. As a result, many more came to faith than did so in Jesus’ ministry such as on the Day of Pentecost. All this happened because he went to the Father. Jesus gives us the resource of prayer. That is the biggest stress defeater for the Christian. ‘Whatever you ask in my name’, says Jesus, ‘Will be done.’ Praying in Jesus’ name means of course praying in the Spirit and therefore praying for selfish luxuries are precluded. Yet, if you ask for anything in Jesus’ name that is within his will, it will be done. That is the promise of Scripture. It also makes you cautious about what you ask for. The other week Janis and I prayed that she might be able to find some teaching work. Soon after a school rang and sought her services. It was not only for a day, but for a week, then it was not only for a week but turned into 10 days. Meanwhile, father was organising a day around picking up kids from school and kindy; getting Julia to music and Callum ready for dancing. It was the most exhausting 10 days of my year. It all makes me hesitant to pray with her again about this. It means, friends, take God at his word. Think of what you are asking for and then what you are not asking for. Very often God’s deepest answers will be found in the things we are not asking for. 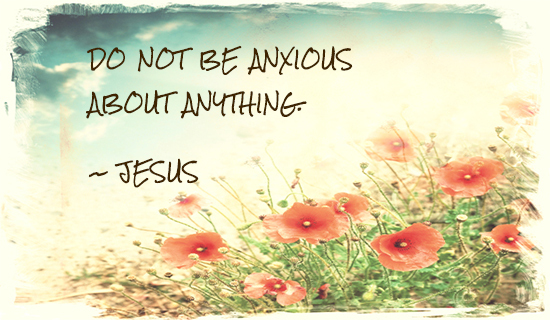 As we finish, remember the words of Jesus and realise you do not have to be worried. He says, ‘Do not be worried and upset. Believe in God, believe also in me.’ Jesus has given us the tools to cope with this life and as we trust in God, recognise the narrowness of truth and are not anxious for it, and to ask for good things in Jesus name, we will do things greater than Christ himself.